The Drive is the perfect twin tip to help you progress fast and easy. 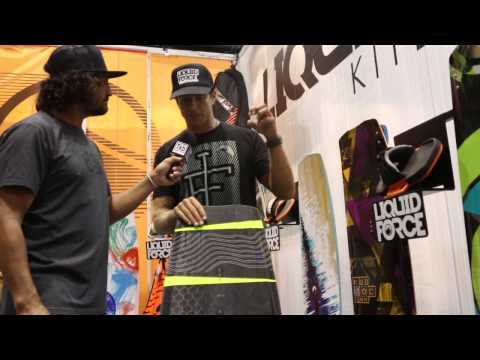 The guys at Liquid Force have designed this board as an entry level machine, capable of accommodating all sorts of riders and styles. It is oriented towards entry level riders who need confidence to learn new tricks. The board is forgiving and easy to handle in most conditions out there. The Liquid Force Drive is the board you need to have fun and progress without worries. It is designed for progression, staying upwind, jumping, and doing air transitions. 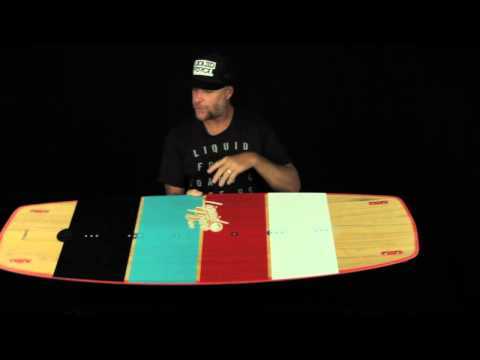 The board is very user friendly and it packs everything a beginner and intermediate rider needs to enjoy the ride. The straighter hip outline allows it plane really fast and makes it easy to maneuver. A flatter rocker ensures solid upwind performance and smooth landings. The flex pattern is optimized to deliver nice pop, but also to make the board comfortable at all times. The bottom concave provides superior stability and assures a smooth glide in chop. The board can boost airs, land smoothly and perform all sorts of tricks as you progress. It is built using a profiled wood core, combined with Biax/triax glass layers, Biax longitudinal reinforcement strips, Liquid Rails and a Printed matte or gloss sub straight finish. This structure makes it responsive and durable.